The openFITS project represents a step towards removing some of the mystery surrounding image processing of the X-ray data from the Chandra Observatory. As the Science Imager for Chandra, I'm often asked if astronomical objects appear in optical images as they would if we could somehow fly to these objects and view them with our own eyes. Of course, this is usually asked in relation to optical images, such as those from Hubble, because human eyes cannot actually see X-rays! The answer to that question is a sometimes disappointing "No." The truth is that these telescopes are extremely sensitive to light in ways that our eyes simply cannot match. Add to that the fact that the light we would see if we flew there is often filtered through very narrow wavelength bands, and you've already surpassed human vision even before manipulating a single pixel of the image. But we should be glad that our telescopes allow us to see things we cannot see with our eyes as that is how we make new discoveries about our Universe. 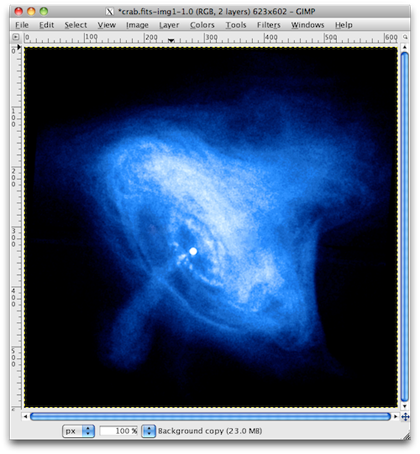 Image processing of X-ray data is actually very similar to working with optical data. I make use of color, as I would with optical data, to illustrate certain scientific characteristics of the object. Thankfully, because of our eyes' natural sensitivity to color, I can use reds, greens and blues to make an image that looks aesthetically pleasing to the eye, but also conveys the science behind the image. Now it's your turn. Armed with the tutorials presented here, you can download data from a selection of some of our favorite Chandra observations and start processing away to create your very own Chandra images! Be sure to come back often as we'll be updating the list of objects as more data become available.